Many people regret taking their car to a mechanic or a dealership for regular maintenance or specific repairs because of what transpires there. Many learn later that their trusted mechanic was not a professional at all in his or her conduct with the car. Instead, they just took the car for a joyride and returned it to the owner. 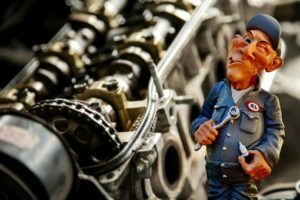 It is surprising that a simple car problem can lead to more than seven visits to a mechanic yet even the diagnosis will not point out the problem. A lot of car owners are suffering while mechanics and dealerships enjoy an easy check at the end of the meeting. However, help is coming your way. There are tips you can use to save yourself from the perils of bad mechanics. The following points comprise what to consider when hiring a mechanic. You are free to ask for the certifications of the person going to handle your car. It is your legitimate expectation as a client to hope for a qualified person. It would be a plus to find a mechanic who has not only the regular higher education certificates but also membership accretion to various service quality institutions for the automotive industry. In fact, manufacturers also certify dealerships and mechanics to work on their specific engines and offer them after sales training so that they are competent at diagnosis and repair of aftermarket problems of a particular brand. Most people have an experience of taking a car to a repair shop and receiving a list of items needing replacement or parts needing repair. They do not get a chance actually to see those parts. Consequently, they do not know what part is different or underwent repairs in the car, and they only hope that the car will behave itself when driving. On the contrary, there are mechanics and their repair shops that will be more than willing to hoist the car and show you the chassis and all that it needs. They will open the bonnet or hood and show you parts that require replacement. They leave you with high levels of assurances that they know what they are doing, and that you are paying for actual service or repair. Although dealerships and general mechanics will try to solve every problem that your car develops, there are enthusiasts and skilled mechanics dealing only with a specific issue or range of issues. For instance, they could be focusing on body works and electricals while others are keen to do engine jobs. 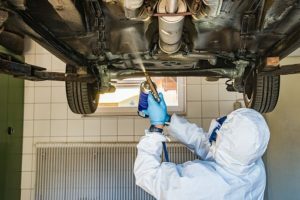 The benefit of relying on mechanics is that you stand a high chance of getting a high-quality job done on your car at a fraction of the cost and with less stress than you would have when dealing with the bureaucracy of other mechanics. Now you are safe as far as choosing mechanics goes. Apply these simple and straightforward tips when considering your next visit. Keep in mind that trust on the mechanic should be a mutual affair where he or she also offers you sufficient reasons to trust the service.